Are you ready for part two of our Creepy, Classy, Crafty DIY Halloween Decorating Starter Kit? Good. Crystal mushrooms may not look like much on their own but tuck the little faux fungi to the side of the photos in your Halloween portrait gallery and in your alchemist's laboratory, and suddenly everything looks a bit more rundown and creepy! 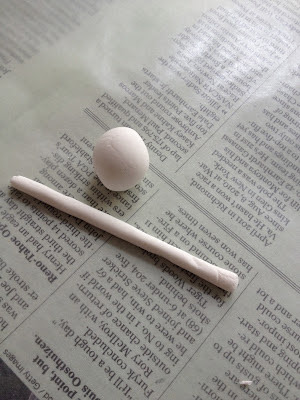 Making the foam sculptures is fast, easy, and only requires a few supplies. However, the mushrooms will take a few days to dry so be sure to get them done ahead of time. 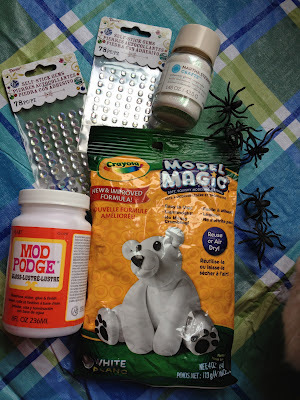 Ignore the Mod Podge and the plastic spiders. You'll need those for the crystal spiders. 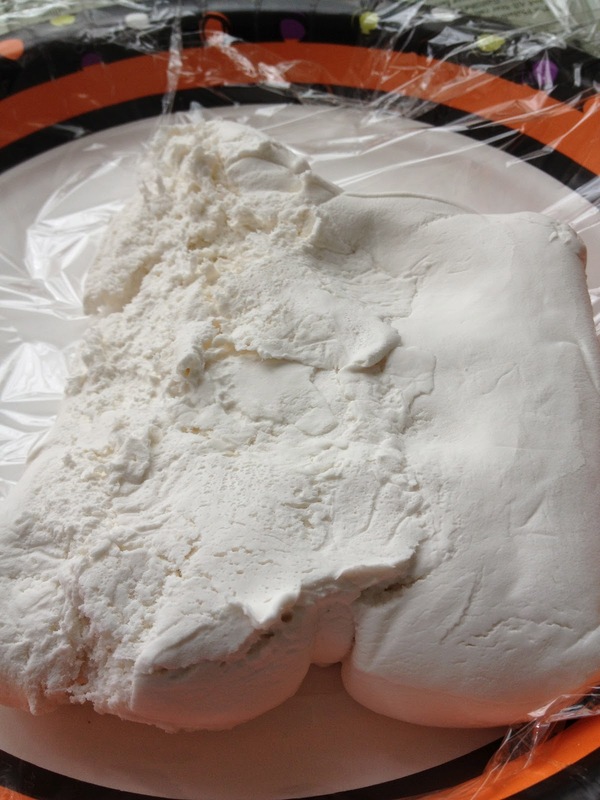 First, remove the foam clay from the packaging. 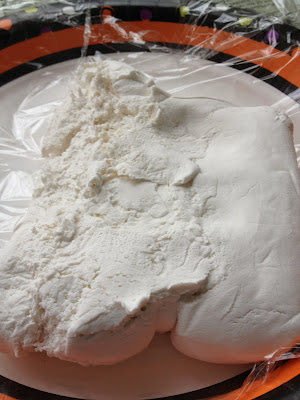 Pull off a chunk big enough to make several of the mushrooms. Tightly wrap the remaining foam in plastic wrap. This will prevent it from drying out and becoming unusable. Second, roll out mushroom stems on a smooth surface. Make sure to vary the lengths and thicknesses. Third, insert appropriately-sized toothpicks into the stems. 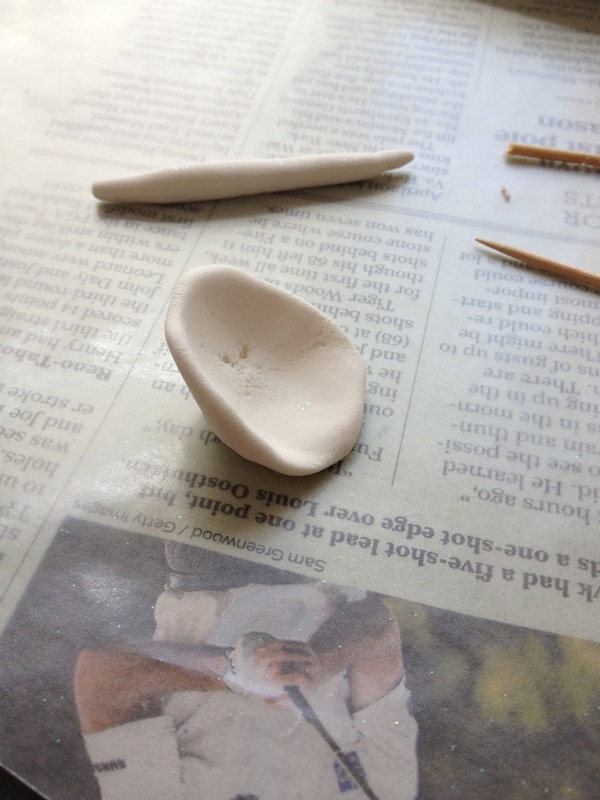 Squish the pick into the clay and then roll the stem again to make sure it's fully covered. 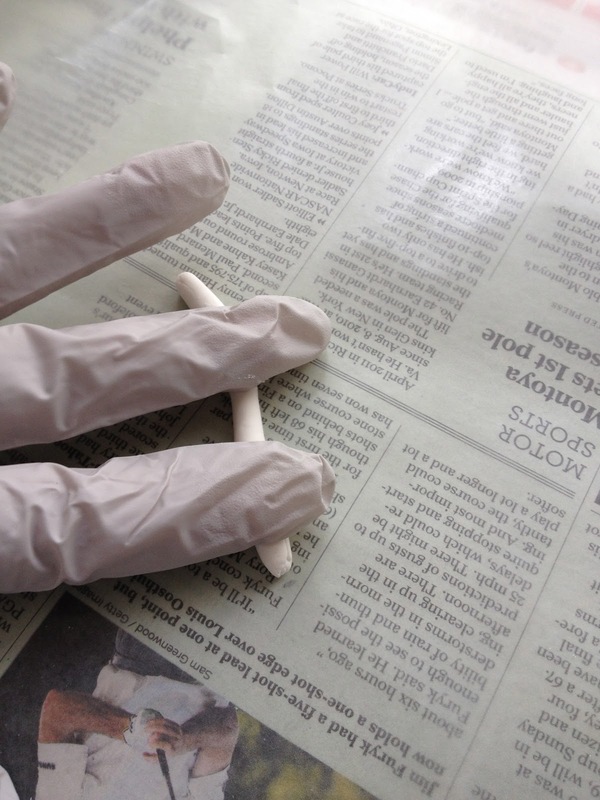 Fourth, roll out small balls of foam clay. These will be your mushroom caps. Fifth, form the balls into bowls using your thumb and carefully attach the stem and cap. 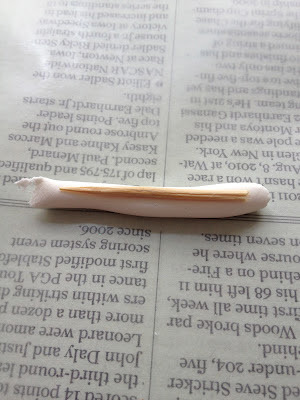 Pushing the tip of the toothpick embedded in the stem into the cap is a good way to make sure the two pieces stay together. 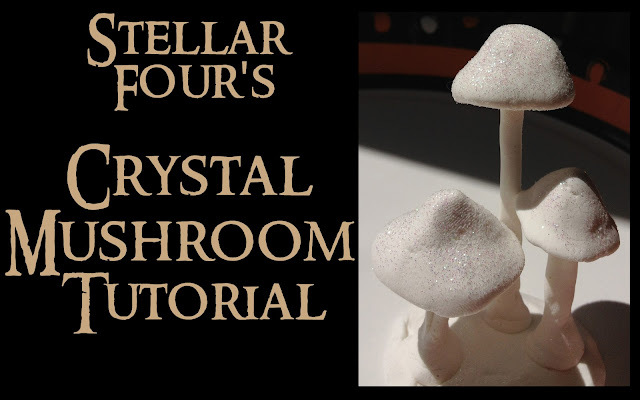 If you want to add rhinestones to the top of the cap like spots on a toadstool, now's the time to do so. Sixth, form a base and attach the mushrooms using more of the clay. Then, sprinkle glitter onto the caps. Let the mushrooms dry for no less than 72 hours. Lastly, after the mushrooms have dried for three days, thread pieces of moss around the stems to hide the base. That's it! 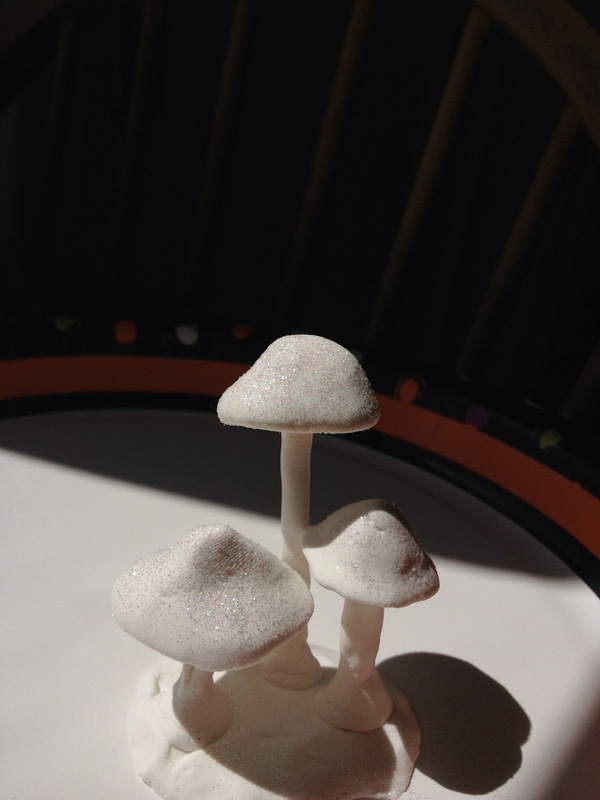 See how easy faux fungi were to make and creepy they look? Iridescent rhinestones are NEVER optional.